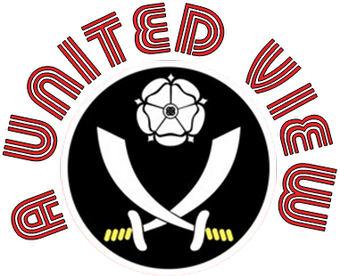 A UNITED VIEW ON FOOTBALL: The Blades "Creweprint"
Tuesday night saw the return of a fixture that I have not had the pleasure of watching for some time. Crewe Alexandra visited Bramall Lane; a match where you are guaranteed to watch at least one side play football and at times in the past that has been The Railwaymen. Thankfully, both teams on Tuesday night played "the right way" and the 3-3 draw that ensued will have been fine fare for the neutral, if a little frustrating for the fans of both sides as leads were thrown away and contentious refereeing decisions played a part in the eventual outcome. It is fair to say that Crewe Alexandra are the best side I have seen so far at Bramall Lane this season, playing with a swift incisiveness across the pitch and a movement off the ball that has it's foundations in stability, a strong academy system and a belief in a certain way of playing that has been actively pursued over the last 30 years. They moved the ball around the pitch with a crispness and pace that to me was clearly sharper than the Blades attractive, but more pedestrian, play. On Tuesday night, the average age of the Crewe side was 23. A look through the programme reveals an average squad age of 21.5 with 15 of the 27 players having come through the club's youth system. The importance in the academy pipeline emphasised by the continued investment in the required infrastructure, facilities and coaches required under the new academy infrastructures put in place by the Elite Player Performance Plan. "That's the kind of standing we feel we deserve and we have a right to be in that group. We want to be because we want to be associated with those types of clubs". 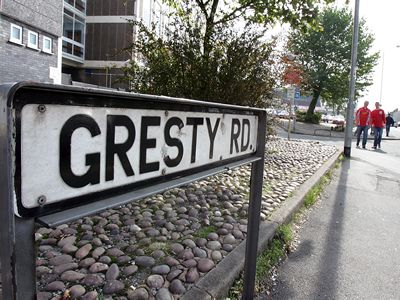 Confident that Crewe will attract and in the short term retain good young players who recognise the club's ability to successfully develop their career." The sale of players has always been important to Alexandra; funding both squad strengthening, underpinning the running of the club and also the ongoing success of the youth production line. That production line was tested again this summer when, after the success of promotion at Wembley, the club sold two of its latest young starlets in Nick Powell and Ashley Westwood to Manchester United and Aston Villa respectively. In that context, the start they have made to this season, establishing themselves mid-table in League One, is all the more impressive. It ought to be noted that the club's plan is not without its ups and downs. In recent seasons the club has spent 3 seasons in League Two, following a spell of 3 years in League One and a prolonged spell in the Championship. Crewe have supplemented their side with loan players and you can see that they have made an impact, slotting into the side. In fact two of the impressive front three on Tuesday; Lauri Dalla Valle and Chuks Aneke, have arrived from Fulham and Arsenal respectively. The other member of that trio Matthias Pogba was signed from Blue Square Premier club Wrexham and is a fine example of the quality that can be picked up in the lower divisions of English football and the upper echelons of the pyramid. Where Crewe suffer, and this probably explains their current mid-table position, is that they have a soft underbelly. A team, lacking experienced leaders on the pitch can be defensively susceptible and no amount of hard work and a good team ethic is going to prevent that. They are also prone to making mistakes, something acknowledged by manager Steve Davis. Development from within has been on the Blades agenda for the last couple of years and it shows. The Blades starting eleven on Tuesday had an average age of 24, just a year more than Crewe. The challenge for Jamie Hoyland and the further new recruits to the academy coaching team is to maintain the good work put in place by Ron Reid and John Pemberton; a task which we shouldn't under-estimate the size of in the current climate. Despite United's recent Youth Cup and Milk Cup success, the academy has only been given provisional Category 2 status, pending an ISO Audit in the new year. The arrival of Hoyland and others all part of the investment in the quality and quantity of coaching required by the EPPP rules. Where United have a distinct advantage is in the relative size of the clubs. The difference in crowds between clubs in this division is immense. United's average last season delivered Turnover of some £4.5m in gate receipts. That in turn allows us to sign experienced players, particularly down the spine of the team. That is not to say United are not without an emphasis on young talent. Development from within has been on the Blades agenda for the last couple of years and it shows. The Blades starting eleven on Tuesday had an average age of 24, just a year more than Crewe. Where I think United have struggled is integrating loan players, with an understandable reluctance to utilise the loan market unless absolutely necessary, having had our fingers burned during the Championship relegation season. When we have, the success stories are rare. United are at a crucial time in their recent history. Looking at the accounts, it is clear that promotion is vital this season. Kevin McCabe's stated aim of a financially self-sufficient club clearly is dependent upon Championship football. Whilst achieving the salary cap of 65% helps move the club in the right direction, the other costs of running a club and stadium the size of Bramall Lane should not be under-estimated. Unpicking the football club results from the plc accounts, with all that has gone on in recent years is not that easy, but what you can see is a club that lost £13m (before tax) on its football operations last season. On top of this, we can also see that taking the step up to the Championship isn't straight forward. Even the self-proclaimed biggest clubs outside of the Premier League have struggled to push on to the upper echelons of the Championship. For others, maintaining their recent success after a prolonged unbeaten run is proving troublesome, their difficulties coming after signing several players of clear Championship ability to bolster a successful League 1 squad. Therein lays a problem. Whilst United will have a better ability to build an improved squad than most other challengers for promotion, the likelihood is that we will still see a few lean seasons financially in the Championship. Whilst parachute payments make the gap between top and bottom even wider, the club will still be bridging a gap between loss making and break-even. Whilst there will be increased income as a result of being in the Championship, from TV (the fall in TV income in the last 12 months was £3.5m), gate receipts and commercial enterprise; the emphasis on youth development, stability and a way of playing that permeates all levels of the club structure is vital. This might not bring the immediate success Unitedites crave and we might have to suffer some ups and downs as Crewe have, hopefully not with the movement between divisions! I can see this is the only way to long term stability, and the structure to deliver a return to the top flight. I am no McCabe apologist, as those who regularly read this blog will know, but in his Chairman's Statement in the accounts he refers to the transition, through the recruitment of young players, to comply with the Salary Cost Management Protocol. In the Business Review, Scott McCabe talks of, "the professional squad gradually reducing in size while rationalizing it to support a more fluid progression for home-grown players from the Club's Academy and for young acquisitions from the transfer market." Ordinarily, this financial straightening would have started last season, but for players still being under expensive contracts that other clubs were unwilling to take on. Things were that bad, we have had to pay players to leave this summer and we have accepted transfer fees for others with a value and staged payments that fans have looked on with incredulity. In effect we are a year behind in this adjustment and we might have found that the club would have still undergone a serious level of change even if we had achieved promotion last season. Sheffield United going forward are going to have to be a bit like Crewe. To the more arrogant elements of our support, that might seem like heresy. I can think of several clubs where the wider support would dismiss such talk as" tinpot" thinking. It does sit contrary to the want it all, want it now, want it yesterday mind-set of modern society and the money-fuelled upper echelons of the game. Some might say, well that just means we develop great young players and sell them as we always do. That might well be the case and at times, in the past, given the relative position of the club at the time, I have been suitably aggrieved at this. However, we need to look at where we are now, where football is now. Youth development and the profit on the sale of those players is going to be an important source of income for the club; up until and probably even after we make it back to the Premier League. In many ways, it will be as important as it is to a club the size of Crewe, but for different reasons. A long term strategy, with stability, an emphasis on youth and a core culture to the club and its coaching might not bear fruit tomorrow, but it will reap a rich harvest for clubs like United and Crewe in the future. We might just have to sit out a failed crop or two in the short term.